In the last 6 months of Feel Good Fridays we've been all around the San Francisco Bay Area, to New York, South Carolina, India, Uganda, Kenya, Paraguay, Brazil, Israel - you get the idea. Today we're going to talk about a group that exists only online but whose influence can be felt world wide. 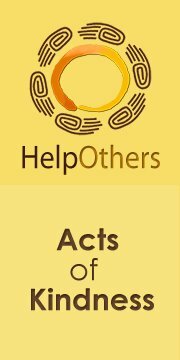 Help Others is an organization founded by a group of anonymous college students 10 years ago. 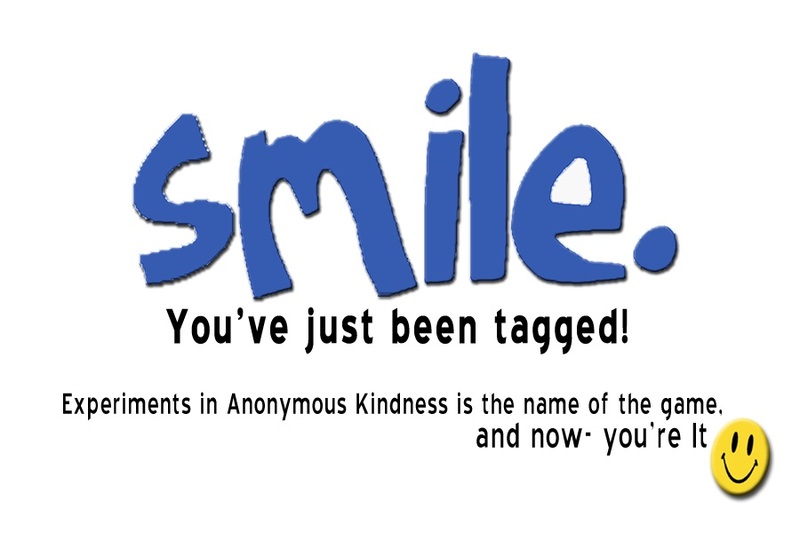 When thinking about how much fun they had planning pranks, they came up with the idea of making a game out of doing anonymous acts of kindness and leaving behind a "smile card" to encourage others to keep the ripple going. The idea is you do a random act of kindness and you leave a card that tags someone as being "it" in the hope they pass on a random act of kindness to someone else. Can't think of anything to do? Visit their website for ideas like play the role of doorman for 15 minutes, write a note to a teacher who inspired you or clean up litter on your block. Don't have a smile card? You can download them here in a variety of languages or place an order to have some sent to you. Can't afford them? Someone has already paid for your cards, because that's the way this site works. Last but not least, like them on Facebook so you can stay in the loop with what's going on.